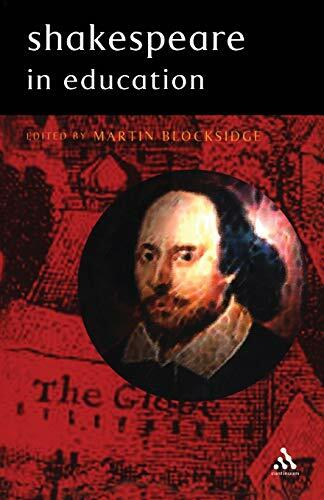 This collection of essays - written by experienced practitioners - seeks to define, or at least report on, the current position of Shakespeare in schools, colleges and other educational environments. Its primary purpose is to examine how, where and why Shakespeare manifests himself in the educational experience of school and college students today. The seven contributors address key topics such as making Shakespeare our contemporary, teaching Shakespeare at a comprehensive school and the work of the Shakespeare Birthplace Trust. Martin Blocksidge was Director of Studies at St Dunstan's College, London, UK, and chairman of the English Association.